Cooperative games are one of my favorite genres of board games. They allow me to play a game with my wife and/or kids and we compete together against the board, instead of against each other. It is a great way to build teamwork and problem-solving skills, all while having a blast playing a game together as a family. 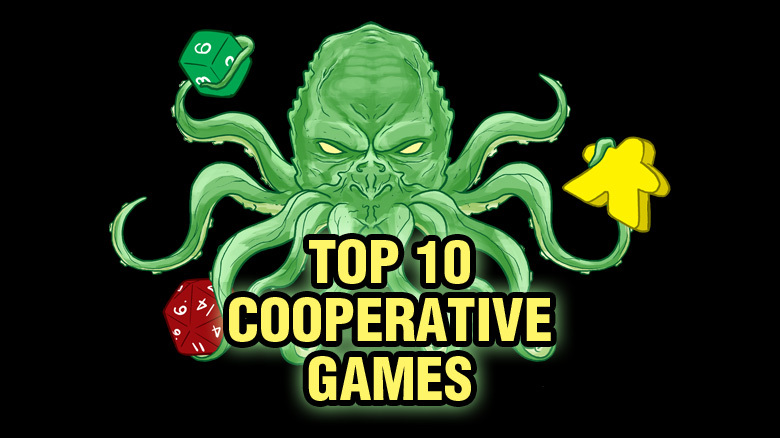 Below are my top ten cooperative games. This is my personal “Top 10 List,” and it does not necessarily reflect the views of every writer here at Board Game Quest. I made the list based on my experiences with many cooperative games, as I have not played every cooperative game. 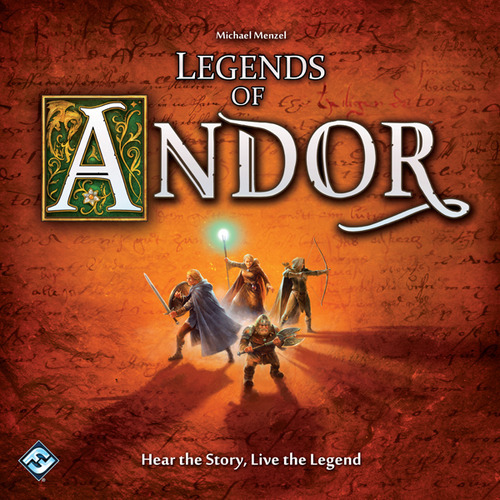 A cooperative game set in the fantasy land of Andor that plays as five linked scenarios. The game is unique in that, although there is combat, stopping and fighting every baddie will result in a loss due to the time wasted fighting instead of completing the objective. 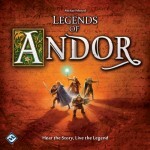 Legends of Andor is a great introduction to cooperative gaming. The one downside is that there are only five scenarios. None of the game’s expansions have been released in the United States yet. Ever wanted to be a firefighter but just could not pass the conditioning test? 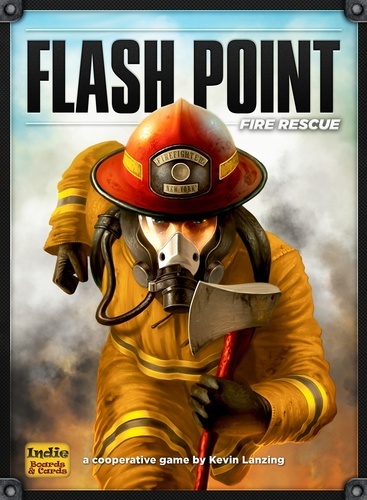 This game will in no way help you become a firefighter, but it is a fun cooperative fire fighting game. There are two modes of play – basic and advanced. Both feature rescuing people (and animals) from an unpredictable fire, but the advanced version adds unique roles, such as driving ambulances and fire trucks, as well as more unpredictable fire hazards. There have also been five expansions to Flash Point that add variety in the form of new maps, roles, and hazards. 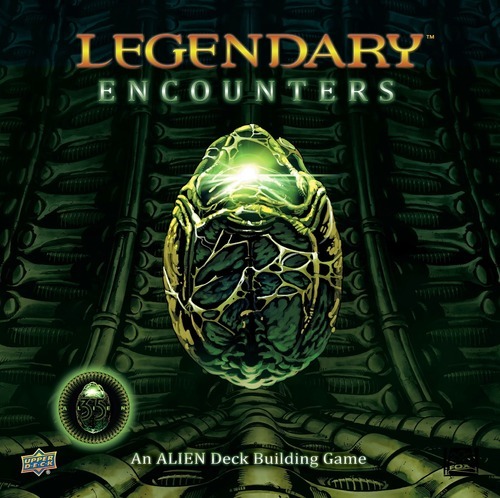 Legendary is a deck building game that recreates the four Alien films. 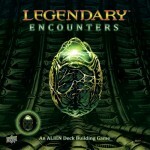 It is similar to Legendary: A Marvel Deck Building Game. In fact, the two games are compatible. The cards in Legendary Encounters are used in ingenious ways to relive classic scenes from the movie. It also introduces the “coordinate mechanic”, which allows players to assist others when it is not their turn, bolstering the cooperative options available to players. Legendary Encounter’s only weakness is that it is too easy solo, and nigh impossible for five. Two to three players is this game’s sweet spot. If you like/love games that lead to your death, like Dark Souls, Rogue Legacy, or Lords of the Fallen, then this is the cooperative game for you. You begin the first, and easiest, scenario stranded on a beach with little food and no shelter. And then things get bad. You and your fellow players must decide how to explore the island, get food, address threats, and survive inclement weather. Unfortunately, you do not have enough time to address everything. Then you die. 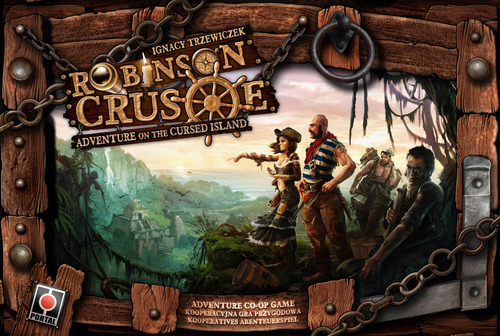 Robinson Crusoe comes with six scenarios, a map that is different every time, and many cards leading to incredible replay value. 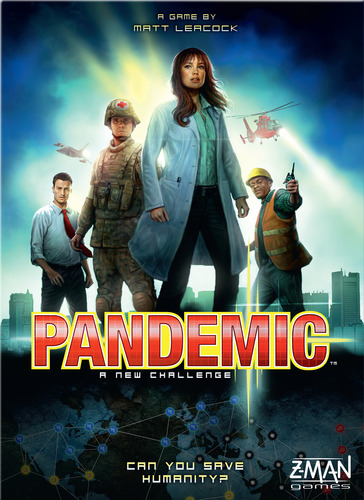 Although not the first cooperative game, Pandemic is one of the most well-known. It is one of my oldest games, and although I suffer from a serious case of the Cult of the New, I still play this game regularly with my family. We love Pandemic. It’s set up and playtime are quick, and it plays well for two to four (but best with four). After you have played many times, you can add the expansions to increase the variability (On the Brink) or to cure diseases (In the Lab). This is a cooperative game that has one to four players joining the abolitionist movement and attempting to move slaves from the South to their freedom in Canada. 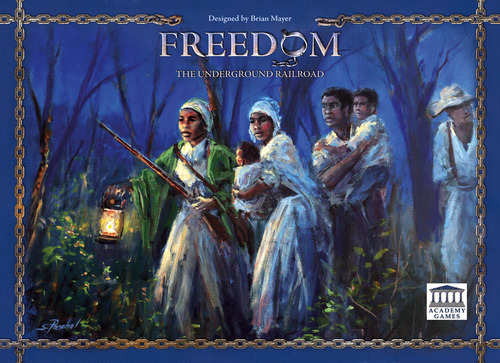 Freedom: Underground Railroad weaves historical events and people, both good and bad, into a strategic game of moving slaves northward while attempting to avoid slave catchers. The game is VERY tense, and, to be honest, it really gripped me thematically. I felt guilty sacrificing a STUPID WOODEN cube because it meant I intentionally sent a person back to slavery, even if it meant opening the way to freedom for many others. 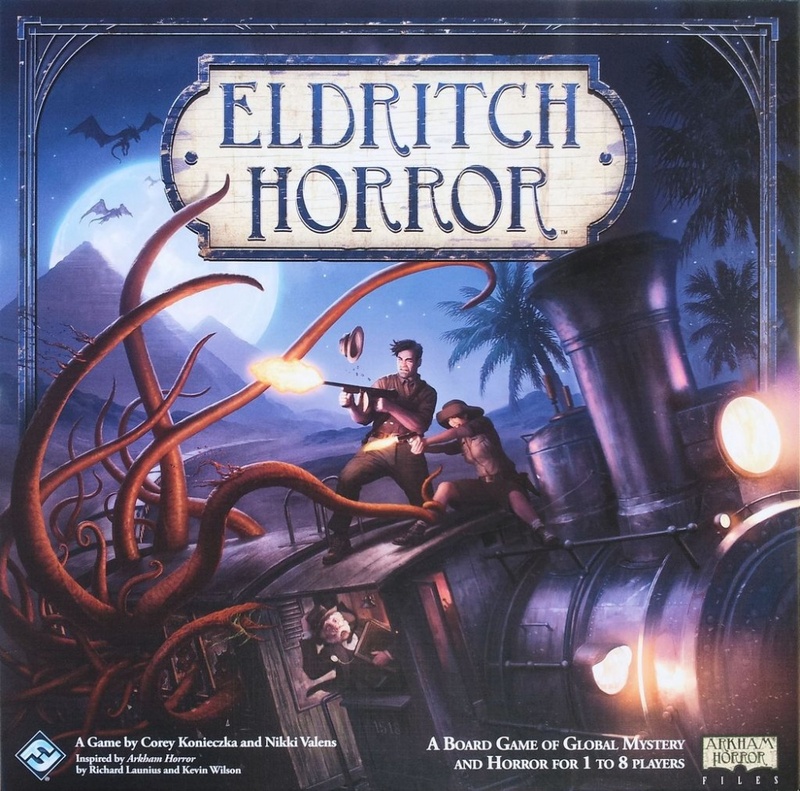 Eldritch Horror is essentially Arkham Horror 2.0, but instead of focusing on one city (or a couple of cities, if you have the expansions), it moves the focus to a globe-trotting adventure. To be honest, I have not played Arkham Horror since buying this game. Eldritch Horror is more streamlined, less fiddly (more so than most games, but bearable compared to Arkham), plays more quickly, yet it still provides an engrossing story that keeps me coming back for more. Two expansions increase the number of options (and replay value) even more. For a thematic, cooperative game with a story, I cannot think of a better game. Disclaimer: I love Lord of the Rings. Disclaimer #2: I love “what if” games. Given this background, it should be no surprise that I love the Lord of the Rings card game. Although not a collectible game like Magic: the Gathering (the card packs have a fixed distribution), there can be a hefty investment if you want to follow the main quest line as well as recreate the Hobbit and Lord of the Rings sagas. The variability is amazing between the different decks you can build and the additional quests provided by the adventure packs and expansions. 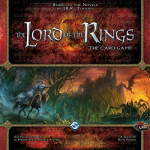 Check out the Lord of the Rings card game if you are looking for a great, thematic game. This is my go-to cooperative game. This card game plays two to five players (four is the best). You choose from ten super heroes to face off against one of four super villains, and then choose from one of four environments for the confrontation. Of course new heroes, villains, and environments are available in expansions. The setup is fast, the interaction between the different heroes, villains, and environments promises a different game every time you play. The card art is amazing. Sentinels of the Multiverse is our family’s favorite cooperative game! That about wraps it up for my Top 10 Cooperative Games. While I’m sure my list won’t match up to everyone’s, I think there is a good representation of many great games here. Did I miss your favorite game? Let me know in the comments below. A) I loved the push your luck, blackjack mechanism. B) It plays faster than Ghost Stories. C) I like the balancing act of when to take damage vs. when not to take damage, especially in Round 2 and 3. But I do like Ghost Stories. It was either #11 or #12 on my list (I don’t have it with me right now). Ghost stories is my fav game! Pitty that not many people know about it! 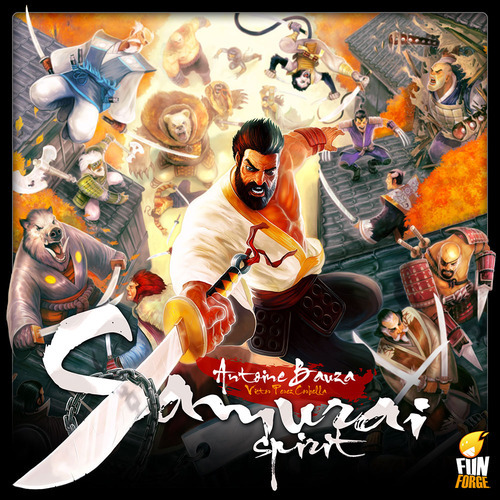 That Samurai spirit is simply amazing in GFX and gameplay.. loved playing this game with my nephews. 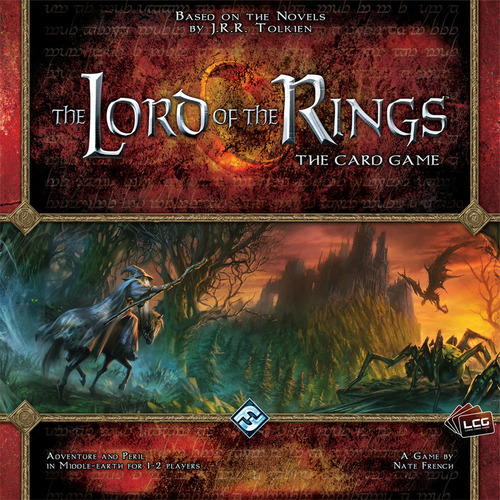 Lord of the Rings was one of the first cooperative games I’ve known. I think one of the Star Trek CCGs were similar, though I never played those. The art of Sentinels is horrible! My younger sister really enjoys Forbidden Island. It’s a pretty simple setup for younger players (I think 10+, although my sister was maybe 8 when we started playing it) with clear objectives and opportunities for everyone to work together (through card trades, etc.). It also moves fast enough that no one gets bored. I would relate it to Castle Panic in terms of ability to jump in and start playing without spending hours learning the rules. Castle Panic: also good. Probably too simple for experienced gamers, but good for family play. And especially good for siblings that turn traditional board games into World War 3!. I know it’s got an ultimately lame name, but have you played any of of the DC Comics Deck Building Game series? I see you enjoy Legendary, to which it functions similarly. The base game is a competitive game where you count victory points (kind of like Legendary, but there’s no group-lose condition), but the co-op expansion, Crisis, ramps up the game a lot. It’s one of my favorite co-op games currently. I can’t speak for Brian, but I’ve played the DC Deckbuilder and it fell pretty flat for me. The theme felt more pasted on than even Legendary. dc deck building game competitive mode gets boring pretty quickly, but the crisis mode takes a LOT of team work, because it’s more of a “deck REFINING” game than a deck builder. it takes two hours, but it’s a lot of discussion, and to me, that’s a lot of fun. once you get the hang of it, combine crisis 1 with deck building game 1, or crisis 2 with deck building game 2. give it a try with fellow experienced gamers- it’s NOT easy but i love it. Our new favorite is to play with elements of Crisis 1 and 2 shuffled together. Each game has different themes of Crisis cards, and its fun not knowing which og two last villains you’ll be facing. Thanks for the reply! My wife and I play the competitive version a lot less note and play the co-op expansion Crisis more. I think that’s where a lot of the feel of the game comes together, working together against a stack of sorry villains, reach with a world-threatening scheme. Thanks for the posts. I definitely love the website. Tony, you so missed The King’s Armory. Have you not played it yet? Since it didn’t make your list, I can only assume. … ; ) hehe. Wow, it does my heart good to see Sentinels getting the love it deserves. It is by far my favorite coop game. The way all of the characters interact and bring different strengths to the group (not to mention different play mechanics) makes the pre game strategy of selecting the team of heroes a game in itself. I also want to second Melissa’s thumbs up for Forbidden Island. 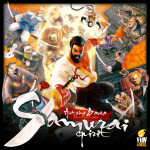 It is a wonderful coop game with a very tight focused design. It is exciting and engaging from the first turn. 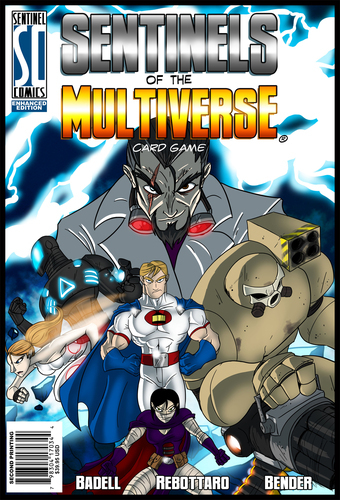 I’m also pleased to see Sentinels of the Multiverse on this list. We find it to be a great cooperative game that you can actually play solo if you want. We love the expansions as well as the basic game. We have found it difficult to win sometimes, but we enjoy the strategy and trying to figure out which heroes to choose to battle whatever villain is chosen. X-COM. The decision making part of each round is timed, which means players who tend to “boss around” others telling what should they do (essentially playing instead of them) don’t have time to do that; also each player has a different role and different way to interact, which means every player is equally required and noone feels like just a +1. Nobody mentioned “Space Alert”. I am shocked. Shadows Over Camelot is an amazing cooperative game, but it seems to play a lot longer than any of your mentioned games. The chance to have a traitor among the group really makes game play dynamic as well. I think the artwork in Sentinels of the Multiverse is unique and good for what it is. Its definitely stylized art as opposed to more mainstream comic art like Marvel or DC does. I know this was written prior to, but i really recommend Harry Potter Battle for Hogwarts, if you haven’t played it. we are hooked! Mysterium is another fun one for 4-7. Dixit style descriptions with an interesting theme.